> something useful can come out of this. > doesn't help you much. > pursuing) means "true/just voice". The "ramp"
> up at least as symbols. > read, as what it says: Just Voice. > it's phonetic, but maybe I am wrong. > feather, s/he moves on to spiritual bliss. > Eyeofhorus33 can find some common ground there. ^It was an interesting commentary. However, I note that on several occasions you have attempted to engage Cladking in deep analysis of alternative interpretations of meanings of glyphs and ancient writings. This exactly is why eyeofhorus33 , Warwick, Eddie and multiple others over the years, has evem bothered to respond to Cladking ! -Many Some ignorant folk are tricked (or might be) and actually (seem to) give some credence to his insane ramblings.! 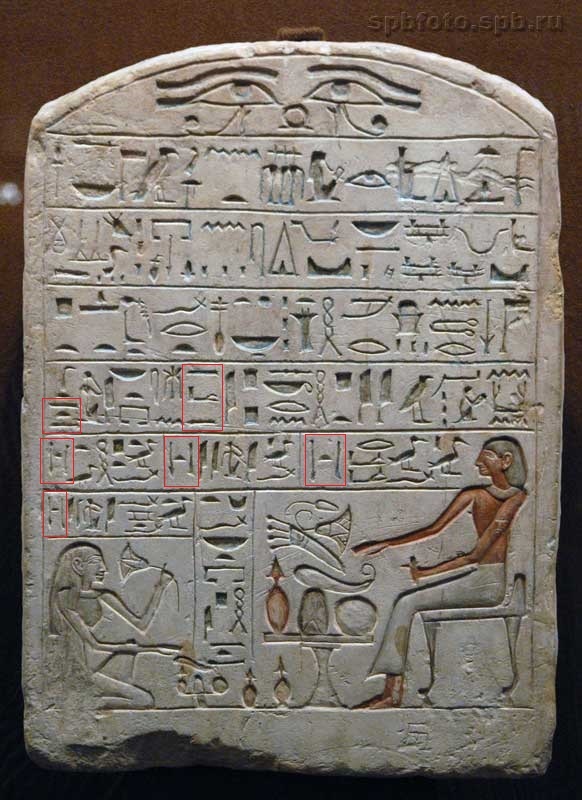 With no disrespect intended, you have been fooled and deluded that he has even the foggiest clue what the glyphs are. eg Even a dunce beginner ought be able to identify basic things like 'bread' or 'beer' or 'cattle' or 'daughter'. He can't even do that and he further contends that all these translations ever are incorrect and misunderstood! His "rising up" (Shu) comment relates solely to his fantasy that the PT describe the construction technique for the Great Pyramid of Khufu! In his mind it is a mechanical technical engineering ( or science he claims is "metaphysical")term and has nothing whatsoever to do with anything "superstitious" as the afterlife! Exercise caution. He is totally ignorant of the language and INSANE! Edited 1 time(s). Last edit at 18-Apr-18 00:25 by Corpuscles.